We offer a number of accommodation choices to suit all tastes and budgets. Each Jesmond apartment contains fully equipped kitchens, spacious living areas and ensuite bathrooms. The complex also features a luxurious pool, spa and barbeque area for the use of all guests. Linen is provided. The delux 1 bedroom apartments have a kitchen, lounge room & bathroom with a spa bath. 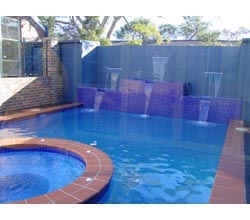 The 2 bedroom delux apartments have a kitchen, loungeroom & bathroom with spa bath. 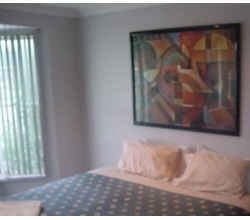 These brand new studio apartments are luxurious and modern which are far more spacious then a traditional motel suite. Variety of car parking types 1. Off street Parking 2. Undercover Parking 3. Lock up garages. Lock up garages are upon request at $10.00 per day. Exit the F3 at the Newcastle / Wallsend Exit, follow sign to Newcastle. Pass Hungry Jack's on left hand side. Take the third exit at the round about. Motel is immediately on the left hand side after exiting the round about. At Sandgate cemetery turn right at the traffic lights. Turn left at the John Hunter Hospital Sign. Take the second exit at the round about.